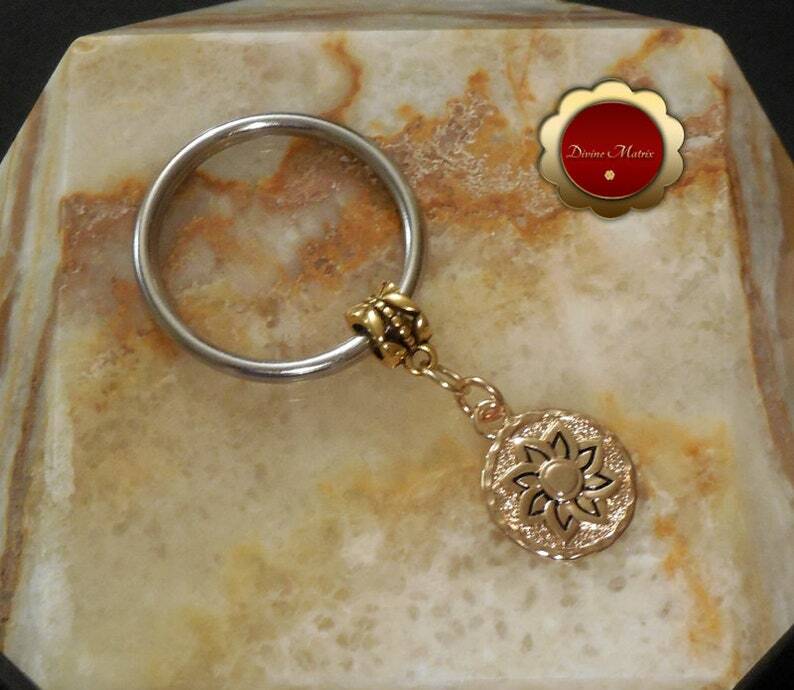 This is an antique gold Sun charm keychain that comes in gold metal. The sun has a symbol made up of the circle symbolizing spirit. ... It is a symbol of origin that represents the completing of the Great Work. The sun will represent life, influence, and strength. He will symbolize energy, will, being clear, and self. This keychain would make a nice gift for someone special. The key ring is a nice 32mm in size. Zinc alloy and iron. Nickel and lead free. Metal. Charm 0.91" x 0.63" x 0.06"